As companies worldwide try to improve their green credentials, their vendors are expected to reduce system power consumption. That in turn is driving ASIC and FPGA designers to reduce device power. Portable devices are also leading the push to reduce power consumption as battery life is crucial. High power consumption is also a major cause of performance degradation, reliability deterioration and packaging / cooling costs which needs to be addressed at the IC design level. With the shrinking geometries, static power is growing really fast and dynamic power is growing as well. Solving power is a key challenge for EDA companies today. Unlike logic, power information is not consistent across all design stages; architects often use gut feel to estimate power and there is no set process for transferring this information to tools downstream. As a result, each tool requires different inputs and works from a different database. Existing tools are struggling to solve the power challenge. At the architecture level, they are inaccurate as clock / interconnect information is not considered. RTL / Gate level tools are fairly accurate at the block level, but not at the chip level as full chip simulation is practically impossible. FPGA emulation is often a common practice, but no existing tools can measure power from the platform. At the physical design level, P&R tools are focused on timing and placement, and not power. Manual power planning thus must be performed after floor plan is complete. Manual planning often increases die size. In addition, a sub-optimal clock approach is chosen. FPGA vendor specific tools are reasonably accurate at the block level, but not at the chip level as full chip simulation is practically impossible. It is also impractical to measure board current for accuracy. Sanved DA is working on a power tool called PowerFactor� that will solve power across all design stages by automating and optimizing power. 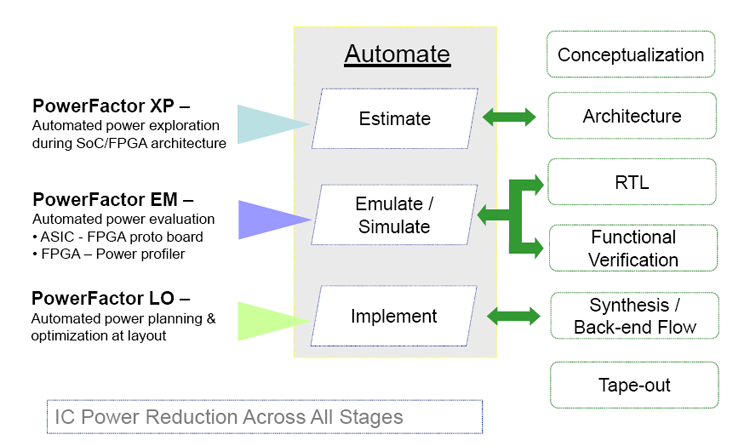 PowerFactor XP for automated power exploration during architecture phase. PowerFactor EM for automated power evaluation using FPGA emulation board. PowerFactor LO for automated power planning and optimization at layout stage. Sanved�s patent pending power optimization algorithms will reduce device power by up to 15%. Designers using the PowerFactor tool will be able to estimate power accurately across all design stages (up to 90%), cut time to market and avoid chip redesign due to power reasons. In addition, congestion relief, easier routing, early closure of IR drop and EM analysis, and die size reduction can be achieved. Is a love letter to venice beach Cheap Jordans Free Shipping How to wood burn engrave your own baseball batwood burning your own baseball is a simple and fun craft project that is perfect for baseball lovers Cheap Jordans of any age.Sabathia recently made comments in which he discussed the lack of african americans playing baseball in the united states.Steps should be taken to change. The shoe provided a lot of cushioning which made for a comfortable ride but there may have been too much cushioning.I didn't feel as stable in these Cheap Jordans shoes because of the thicker sole.My left foot slipped out of the shoe during testing.Couples is playing the northern trust open for the 32nd time.Divots:The 10th hole was perilous as ever at 314 yards, especially for scott verplank.He took two shots from the front bunker and three from the back on his way to an 8. That one's good to go. "Not entirely.Mcfadden said his right toe hasn't healed but he at least can push off his right foot now that has been tough to do since he got hurt at the end of a 50 yard run against the chiefs in week 2.Mcfadden said his left toe got hurt on the first series against theone thing is clear:Turf toe is taking all the splash out of mcfadden's nfl debut.The raiders drafted him no.4 overall in April. There's an emotional connection that fans make when they Jordan Shoes For Women see their sport heroes endorsing a line of shoes.It's something that they both physically and emotionally identify with.Maybe they even think in their heart of hearts that the equipment will help them play a bit better. You should be able to wash/dry the jacket as well if you have a problem, or even find a place that has a steamer.That would be rare, but you could always splash water on the jacket, or spritz Cheap Jordans For Sale from a spray bottle and then put it into a dryer such that it would have the effect of steaming as well.I would, however, be sure to turn the pockets inside out before putting into the dryer, though i doubt anything could survive a lengthy spell in a commercial dryer. Copeland plans to attend nashua community college, and he wants to study all aspects of business entrepreneurship, fashion, marketing.He said that last year, he wanted to participate in an internship at nike, but work and school responsibilities got in the way Cheap Retro Jordans of his application package, which needed product sketches.He's eligible again in his sophomore year of college. Fortune magazine did a study on nike shoes.It compared the income of the ceo in the usa with the total combined Cheap Authentic Jordans income of one of its largest shoe manufacturing plant in indonesia with over 15, 000 workers.Guess who won?The ceo won by a wide margin.